The data loss issue is not the only issue of the October 2018 Update of Windows 10. Reports suggest that there are at least two additional issues that users may run into. The first issue affects certain HP devices that throw a bluescreen error when HP's HpqKbFiltr.sys keyboard driver is used. The issue reportedly happens after users install KB4464330 or KB4462919, the first two cumulative updates for Windows 10 version 1809. Affected devices display a bluescreen error on load. 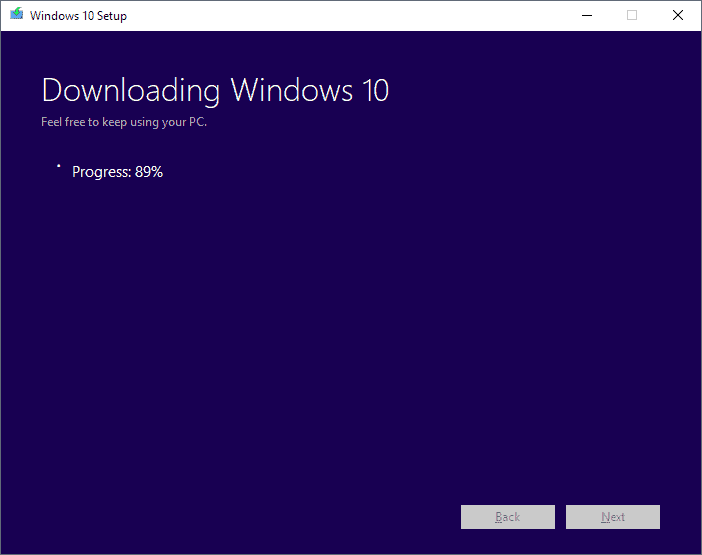 While it is possible to restore an earlier version of Windows 10 using the advanced startup options, users may want to try the following workaround as it may resolve the issue on their end. Microsoft confirmed the issue on the official Answers forum on the Microsoft website. The workaround renames the keyboard driver that is causing the bluescreen. You need to get to the recovery screen. Windows 10 should display it on its own after some bluescreens. Select Advanced Recovery Options > Troubleshoot > Command Prompt. The command renames the driver in the drivers folder on System32 so that it won't be loaded by the operating system. Update: Microsoft released an update to the Update Catalog and published KB4468304 that explains the issue. Download and run the update on affected systems to resolve the issue. The second issue has received quite a few mentions on support forums; it causes audio output to stop working on devices. Update: Microsoft released an update that removes intcaudiobus from the device. Check out the support page here or download the fix from Microsoft's Update Catalog right away. The message "no audio output device is installed" is displayed and speakers that are connected to the device don't work. Basically, when you try to play audio you won't be able to do so as the system does not recognize any audio devices on the system. Two fixes have been posted on Reddit that supposedly resolve the issue. Open the Device Manager on the affected system. Find an audio driver that is marked with SST in its name. Right-click on the device and select Update Driver. Choose Browse from the computer. You may need to select "Let me pick from a list of available drivers on my computer". SST should disappear and audio should work again. The second issue is more advanced as it requires that you run commands from the command prompt. Open an elevated command prompt. Open the Start menu, type cmd.exe, right-click the result, and select "run as administrator" to do so. Run the command pnputil /enum-drivers to enumerate all drivers. Locate the audio driver, e.g. oemXXXX.inf that is listed under intcaudiobus.inf in the listing. Note that this is the driver for Intel audio and that you need to locate the right driver for your device. Run the command pnputil /delete-driver oemXXXX.inf /uninstall to remove the driver. Now You: Have you been affected by any of these issues? Reports suggest that there are at least two additional issues that users may run into after installation of the October 2018 Update for Windows 10. Pfff, what a crappy os. It’s not crappy by any means. What’s crappy is the twice a year releases that they don’t/can’t test on all types of PCs. If you take the current release (1803) you’ll find it’s very stable. That’s because they had time to fix what they broke from when they updated from 1709. That’s the crappy part. If users can keep one release, and only update features when they want to, the OS would be regarded as stable as Win7. Each feature update they push is basically a new OS based on the last release. You can’t expect it to be stable when you do that. I think they should not push updates to those who don’t want them. The features they push with each new release I don’t even care about. Just leave me with my current release, and give security updates only. So, why not take the “stable” 1803 and go from there? Seems like 1809 is a “starting from scratch”-kind of bum deal. “One step up, two steps back” seems to be the mantra in Redmond today. @Bobby – You’ve completely revealed why it is indeed so crappy after all. Sure, the OS itself is not, but what difference does that make, when the OS is (or may well be) destroyed by a twice-a-year update release. So if we can’t expect it to be stable………then its crappy, is it not? What planet exactly are you on here? Just because the “core” OS is fine, ultimately….all that counts for nothing, if a “new” OS comes along and totally trashes (what was not crappy) beforehand…. Not crappy === (meet) crappy. A real disaster one after another, it is incredible to read this … from my linux mint, here thanks to God when I update something are seconds and as I have pointed out in the levels of security of the system what I want I have no risk of being spoil and much less destroy the hardware of my pc. It is the year in the many begin to change operating system and I recommend linux mint, do it you will gain security and tranquility! * I could probably have fixed the problem by turning off 3D hardware acceleration in the virtual machine’s settings. That wasn’t an appealing option, because Linux Mint Cinnamon already runs slowly enough in a virtual environment on my underpowered laptop. Software-emulation mode is just too much of an additional burden on my machine. * I have a hunch it was one of the two “level-four” (potentially risky) updates I installed that was responsible for the problem. (More specifically, I have a hunch the culprit was an update to GRUB2, the bootloader.) A more conservative user might not have installed these “risky” updates. Experimenting in a virtual environment, I can always recover from major screw-ups by restoring a backup of the virtual machine, so I’m less cautious than I might otherwise be. * Theoretically, Timeshift (which comes bundled with Linux Mint 19) would allow me to roll back the system and recover from major update-induced borkage. I don’t know how to use it on an unstartable system, but when I switch to a bare-metal install, I will hopefully be able to look it up on my phone if and when it ever becomes necessary. I’ll be maintaining a bootable, known-good clone of my system drive regardless — based on long experience with *Windows* recovery options that don’t work as advertised. Virtual environments require ram memory, ideally for a vm they are a minimum of 4 gb ram. If you have a venerable system you have to take into account the limitations. I have in my asus 4 gb of ram and even so, with a hybrid intel and nvidia 720 I can switch from hard without any problem. Normally in vm I use the intel and the required limits, I have a vm with an excellent system old os / 2 warp v3 fixpap 38 and inside warp executes excellent w311 for group work and works perfectly with sound and accelerated gengrad driver. The security policies must be taken into account that of the 5 levels, the correct thing would be if you do not know linux thoroughly levels up to 3 maximum. the first two are safe, always discard the kernels and associated. the libraries usually do not give any problem, in addition they can always be reversed, sypnatic is wonderful enough to mark completely uninstall included files of the program in question. If you notice whenever you have an update here comes a review below that is what it offers. A security rule is to write down the update in case of doubt and look in google reviews. Usually up to levels 1 2 3 are always reliable and safe. My system is fantastic, very loose and clean completely updated based on these simple rules I do not fear here messes. And if your fear has been for your vm, always a rule is installed machine compress it and saved separately, if we ever make a mistake or error, always uninstall completely virtualbox and reinstall clean, that’s so simple seconds are not hours like a vulgar and cryptic update of more than you do not know what it does below your w10! I encourage you to have linux mint, you can have it in hd ext and start directly, advantages you can always have access to your damaged w10 and recover files transparently and exchange solutions between both. I forgot, I have a golden rule, I never use integrated backup tools either win or linux, in linux I use a backup pen drive to mint copy all the partitions and also the difference only data not empty spaces. selecting backup or restore is simple the source and destination options. Acronis is fine for your world, not for Linux since it copies all empty sectors and is a huge copy of useless space. @juan: Sorry for the delay in getting back to you; I’ve been super-busy the past couple of days. My host OS is Windows 7 x64 on a nine-year-old ThinkPad with 8GB of RAM, and 2GB of RAM I is the most can devote to a virtual machine without seriously interfering with the stuff I do in Windows. It’s not an ideal situation, but it’s been good enough for getting my feet wet in Linux. In version 19, Linux Mint made some changes to its classification and preselection of updates. Now there are only four “impact levels” instead of five, and *everything* is preselected for installation by default — the theory being that you can restore a Timeshift system snapshot to recover from a problematic update. I actually edited my Update Manager settings to *not* preselect level 4 (“sensitive”) updates, even though I had never run into a problem selecting everything through level 5 in Linux Mint 18.x and everything through level 4 in Linux Mint 19 … until a few days ago. Maybe I’m just lucky, but kernel updates have never given me trouble — at least not that I am aware of. Regardless, I will probably be more cautious with a bare-metal install. I always keep at least one known-good backup of my virtual machines on hand. If an update (or more likely something *I* do wrong) messes it up, and I can’t fix the problem, I just restore the backup. I hadn’t really thought of uninstalling and then reinstalling the same version of VirtualBox as a potential fix for problems, although I have done that for other programs a number of times. However, there was a fairly long string of VirtualBox versions that didn’t support Linux guests very well, and just yesterday or the day before, in the latest VirtualBox release (5.4.20), neither my Linux Mint 18.3 Cinnamon virtual machine nor my Linux Mint 19 Cinnamon virtual could reach the Desktop after I logged in. As a result, I have a *lot* of experience fixing VirtualBox problems by installing an older version of VirtualBox over the current one! I’m currently back at 5.4.16. I don’t trust Windows’ bundled recovery tools, which have never worked (or worked well) the few times I’ve tried them. I have no idea how well Timeshift works in Linux Mint. Given that Linux Mint 19 now preselects *all* levels of updates for installation by default, the developers seem to have a great deal of confidence in it. And given that Linux Mint is a conservative, cautious, breakage-averse distro, that suggests to me that Timeshift probably *is* in fact pretty reliable. Regardless, I’m probably going to continue using the disaster-recovery strategy I use in Windows: to periodically clone the system drive to an identical drive and, between clonings, update my data files and select configuration files on the clone drive in close to real time. In Windows, I use Macrium Reflect to do the cloning and FreeFileSync/RealTimeSync to do the updating. In Linux, I’ll probably start by trying Clonezilla for the cloning. FreeFileSync/RealTimeSync is available for Linux — I’ve tested it in my LM19 virtual machine and it works fine — so there’s no need to hunt for a different syncing/updating solution. Stories like this is why I come here. M$ is using end users as beta testers and I need to keep up to date to know when, a “feature update” is finally stable enough to download. Hey who needs old personal files anyway, stop holding on to the past, we help you clean all your old baggage so you can go out and experience new things! We care! What better start to a work day than the proven-soothing, calming colour BLUE! This is ZEN, provided for you with no extra charge. Finally, audio is such a distraction and cause for stress in todays hectic world anyway, so we got rid of it for you. FREE OF CHARGE!!! If you really really need annoying sounds all around you, there’s an UWP app for it. For just 50 dollars. Thank you for trusting all your computing needs with us! Together we can! God you almost killed me there … +1 today you won the internet. But I’ve been told everything would be so much better thanks to this infinite telemetry collection. Apparently, M$ and I have a different understanding of the word “experience”. Well, once again, thanks M$ for your “free” offer, but I still pass! Yes the huge and forced updates were also supposed to make everything so much more stable. I usually don’t defend MS, but stuff like that could easily be prevented, if companies like HP would run an insider test division to find such issues before MS releases new major Windows updates. Anyone forgot Vista release, where almost nothing worked, because most companies forgot to test their stuff on the hundreds of Vista preview/test builds before release. Do you really believe that HP, Dell.. didn’t test the October update in the last 6 months? Of course they did. It is more likely that Microsoft changed something in the last minute. Microsoft pushed the offending driver onto customers machines and then pushed an update that caused problems with a driver they published, if you’re going to push driver, that i would assume are WHQL certified, then you really should test those drivers against your updates. I had audio not working problems with a Plantronics 478 headset. I could not get the microphone to work. Tried all manner of messing with control settings in system, rebooted a couple of times, etc. Nothing seemed to work until finally, it did start working and I am still unsure why it suddenly started. I had no problems prior to this upgrade. Thx m$, you’ve increased my business lately. Keep up the good work! MS monitors what you do to improve products and we get this? The version number will soon indicate the number of glitches in a release. Win10 1809 causes your system to stop recognizing audio devices? How appropriate, since MS never listens to their users anyway! Windows 10 = garbage ! Satya Nadella is living proof of the Peter Principal. Windows regularly mucks up my audio driver. Finding the issue the first times was a problem because the driver reported itself as working OK. In the end I needed to fully uninstall all sound drivers prevent Windows installing drivers, download and install Intel and Realtek drivers. Finding those was not easy! Try the same via a third party driver update utility and you may get the same issue. And Windows is getting closer to acting & behaving just like the Linux desktop. Cryptic commands needed to fix issues. With that sort of track record, Linux is justifiably free of cost, inexcusable for M$ though. I don’t enjoy using Windows any more, not for a few years now, probably since Windows 8 and the genius decision to remove the start menu. I look at the computer now and feel a sense of dread for what dramas might await with the next ‘update’ and how long it will be before I can get any actual job work done, among all the live tiles, constant prompts, candy crush, news feeds, updates, updates, updates. And I’m sorry I feel like I must be some kind of weirdo, but I hate having my personal usage data and telemetry being collected and sent to Microsoft or anyone for that matter. When did this become tolerable? I think it’s outrageous. Why does MS change the Driver Model every 6 months? The fact that you have to deal with this crap after 30+ years of Windows getting stabilized, after releases like Windows XP SP2 and Windows 7. I refuse to deal with this crap. An OS not continuously employing tricks to steal my bandwidth and download some crap, and which gives me stability is very important to me even on my home PC even though I am an IT pro. I will hang on to Windows 8.1 with Classic Shell for as long as I can and then move on to macOS or Linux. Certain behaviors of Windows 10 are NOT acceptable and after 3 years, they haven’t changed, gotten worse with issues like this. It gets security updates for one more year. Programs do not abandon 7 like they do with Vista. 7 is the most hardware compatible OS today. I actually liked Vista, used it since day one until 7 came along. But I don’t feel the need to brag about it online today since it’s dead. But yeah, great memories from my Vista days, just like 7 will be remembered by billions of people in a few years time. See it’s a question of accountability and monopoly. Microsoft can format your drive accidentally or corrupt your partitions accidentally too and claim innocence. That what they are doing for past many years is falling short of expectations continuously and far from good enough is not getting through to them. They have no incentive to change or fix anything in the company. Money is rolling in from Azure, Office and other businesses. People still keep paying for their crap. They are the only game in town as far as desktop operating systems are concerned. If you can resist their marketing crap and refuse to use Windows 10 no matter what, maybe they might get the message. Windows 10 is doing exactly what Microsoft wants it to. It’s never fully tested. Consumers find the show stopping bugs, after which Microsoft fixes them so their Windows Enterprise and Microsoft 365 customers don’t suffer the same fate. Their big paychecks keep coming in. Few computer users prefer to have their OS forcibly upgraded twice-per-year or once-per-year, eg ever-upgraders, trendsetters, hipsters, cutting-edge technologists, etc. Similar to those who buy new iPhones or car models every year. Instead, most prefer to use a stabilized or bug-free OS for as long as possible(eg 3 to 5 years), with some even using it for up to 10 years before they upgrade the OS. This has to rate as the understatement of the year. You’re too nice a guy, Martin, really. If I were you, I would scream bloody murder. Some commentators on Ask Woody say that Microsoft has written off the individual user and small business market entirely. They are only waiting for them do die a slow and painful death under Windows torture. Meanwhile, they are using them (and specifically the home users) as involuntary guinea pigs. Microsoft has explicitly said that bugs are ironed out by force-feeding them “updates” for free, doing telemetry upon them, and only then, delivering a beta-tested version to their enterprise customers, which are the only ones they really care about anymore. Because they can be milked for big bucks by “subscription”. The Microsoft quality control team has been dismissed. It’s us schmucks out there who are supposed to do the “quality control”, and that involves our computers being blue-screened to death, day in, day out, so that Microsoft shareholders may be happy. I’m on Windows 7, Office 2003, and “never update”. So I can watch this from afar. But I commiserate with you guys on W10 and the bleeding edge. And I think those sharp minds at Ask Woody are right. No kid developing software for fun in his mom’s basement would dare to deliver such sloppy work. So that’s done on purpose. It’s not Microsoft “not being aware”, or something. Other critical infrastructure such as hospitals, medical equipment, vital industrial systems (and even the military) depend on Windows to work correctly. Many of these people stay on past Windows editions because upgrading would be too costly, complex and plain down dangerous. I can see the moment when the American government, and possibly the European Union, will start anti-trust proceedings against Microsoft for endangering their national security. It cannot come a minute too soon. Compared to Microsoft, Google is a champion of reliability and security. Granted, it sweeps your personal data big time, but at least, it’s honest about it (and you can adjust this behaviour up to a point). And as far as I know, the constant updating of the Android and Chrome operating systems that’s happening in the background just always works. Who had a phone bricked by an Android update, or a Chromebook becoming soundless because of a Google upgrade ? Pretty obvious Microsoft ability to properly test new builds with Insider’s is not working out. You still need in house people willing to be more aggressive in testing. Also wouldn’t hurt to actually be way more thorough on addressing Feedback reports and not dismiss them just because they receive few up votes or are reported only by a handful of Insiders. Sadly Windows 10 is simply going through too many upgrade cycles to keep things stable. At least the way they do testing now, and if your going to continue to push out these upgrades I think you need to stop with the pre determined release dates. I broke my own rule of waiting a month and installed version 1809. It was not compatible with Sandboxie and I had to remove Sandboxie before the update would load. Have returned to 1709 as it also updated and ruined for me the only windows store app that I use. Here is a question I have that I do not find good information about on the web: If you use Sandboxie, an antivirus, and use regular backups, how safe are you to keep running an old Windows 10 version after all support for it has ended? I have spent one entire year with no updates at all, stuck like a stone at 1709 because 1803 was unusable in my system, and now I have to read these incredible ridiculous bad news about 1809, which are completely nonsense for me. My sister is expecting the disaster, as she is at 1803 version and coming soon at 1809. My father is completely happy with W7, best MS OS ever I guess. Sometimes I think that I would be more happy with an Android tablet, probably more than enough for browsing and for other minor stuff, with an OTG keyboard and printing services. Sincerely, I can’t understand what kind of people are under Microsoft development team, they are destroying all the Windows confidence and also all the user’s happiness. The only possible way for Windows 10 to upgrade seamlessly is for all W10 computers (preferably brand new, pre-installed and not upgraded from 7 or 8) to run at default settings as installed, and only use add-ons from the Windows Store. Management grossly misjudged how difficult the transition from W7 & W8 would be and now everyone including MS is stuck with it. Then there’s the little issue of massive downloads that preclude those with limited data from using W10 at all. I’d love to be a fly on the wall of the MS board of directors as they discuss the current situation. Will they put Satya in the dunce corner? I purchased a laptop two years ago, I immediately removed Win10 bought a license for Win8.1…Used WSUS offline, installed the applicable frameworks and 101 security only updates. As long as I have had my computer, Windows updates has been turned off. I use WinDefender, TDSSKiller and my firewall for protection. All my component drivers are not Microsoft’s. I use an older version of CCleaner, Defraggler….that’s it. I have never, NEVER, EVER had a problem with my system. Mac also actually automatically FORMATTED external hdds, not just a folder like win 10. Way to go ms, you still need to do worse! Have Data, don’t trust the new OS’, they’re not tested, too expensive to do so. Got the updates for KB4462919 for my Windows 10 Pro 1803. After the update Windows log off my user after some minutes (when I’m not at the PC). When getting back into the PC Windows opens into lock screen. I have to press enter to get to the logon screen. Screen saver if off . After some search I have add a registry key : NoLockScreen – 1 which solved the problem. Windows Update incorrectly pushing Intel Audio Controller version 9.21.0.3755 to users. Microsoft recommends uninstalling the offending driver in order to fix the problem, and has provided KB4468550 to uninstall the driver. So far, so good. I have upgraded to 1809 one day after it came out. The update was without a glitch and I have not experienced any issues since. The same is true for previous upgrades. Am I just lucky? W10 is a good system, but I really hate this update/upgrade system. Please, MS CEOs, just release all W10 versions to be like LTSB. Laughing at this from my Windows 7 machine. I make a lot of money using Windows 10. The updates run smoothly because I know how to do it. I spend my time thinking instead of blaming. Sorry, what? 😑 There is no way to predict which kind of bugs will affect a single computer, just not thinking about massive updating process everywhere. W10 update system is just hell, however if they got stuck in one version, (e.g. W10.5), and they release little security updates, all these problems will be reduced dramatically for probably most all the users. Upgrade should be optional. Is it associated with the 1809 update that my routine back-ups no longer work? Backup was also affected at 1803, so probably it does. The worst enemy of Windows 10 is Windows Update System. Linux, Android, ChromeOS and other new and old OSs like W7 are probably laughing now like there was no tomorrow. According to all the bugs and problems that I have read at the Internet, 1809 probably become the worst upgrade ever in the history of computer related issues, with tons of crap inside, the last nail in the coffin for the insider’s program imho. This is a bit of a red herring, but please bear with me. My dad’s newest laptop runs Windows 10 Enterprise, recently forcibly upgraded from 1709 to 1803. I created a bunch of FreeFileSync RealTimeSync tasks to sync his data files with his backup laptops, which run Windows 7. In Windows 7, I can put RealTimeSync task shortcuts in his Start Menu “Startup” folder, and they start whenever he logs in — every time without fail. When I tried this in Windows 10, they wouldn’t run at all, from 1609 or 1703 (whatever it was running when I set up the tasks) to this day. I had to schedule them in Task Scheduler (which was a PITA, given that he runs 16 separate RealTimeSync tasks on the Windows 10 computer). The tasks now “start,” technically speaking — their processes show up in Task Manager and their icons show up in the Notification Area / System Tray — but half of the time they aren’t actually *active* and their System Tray icons are grayed out. When this happens, they don’t turn red and active until he manually loads the FreeFileSync GUI and quits it, without doing anything in it. And sometimes, when his RealTimeSync icons have been red and active for a while, they all turn gray and inactive again, without warning and for no discernible reason. Sometimes, I check in on him to find that nothing has been synced/backed up for a week! His user account has administrator rights. All of the laptops are configured to never sleep when they’re networked and on AC power. I just don’t get it. Did an update… it installed 1809. What a disaster. Windows 10 Pro is running as a guest OS in virtualbox. After the update, I couldn’t get the thing to run full screen and the logon screen REFUSED to be the same as the lock screen. I rolled back to 1703 and disabled the update service to prevent this from happening again. Crap software. I still cannot use my regular back-up system image routine from ….Systems/Back-up… as per Windows 7 etc. Even with a new replacement external hdd, I am told the media is write protected and I have not found a working routine to input an Administrator’s password (I am the administrator). Each week a folder is created for a new system image and the previous folder deleted, but the folder is empty?